By the 1920s, the American-born artist Edward McKnight Kauffer (1890–1954) was recognized as a dominant force in British graphics, celebrated for the posters he designed for, among others, Eastman and Son Ltd., Eno’s Fruit Salt and the London Underground Electric Railways Company.1 In recent years a series of high-profile exhibitions at London’s Estorick Collection and the London Transport Museum have reinforced Kauffer’s reputation as master of the poster form. But while the posters retain unquestionable merit, the scholarly and critical focus on them has obscured the full extent of his achievements as a designer. In recent years a series of high-profile exhibitions at London’s Estorick Collection and the London Transport Museum have reinforced Kauffer’s reputation as master of the poster form. But while the posters retain unquestionable merit, the scholarly and critical focus on them has obscured the full extent of his achievements as a designer. Fig. 2. E. McKnight Kauffer, Flight (1919), lithograph, 298 x 152 cm. Victoria and Albert Museum, London. Museum No. E.35-1973. © Estate of Edward McKnight Kauffer. Smaller in scale than his posters, Kauffer’s book jacket designs succinctly combine traditional and avant-garde approaches, and represent a subset of his oeuvre too often relegated to footnotes.2 Kauffer himself, often vocal and articulate about his work, said and wrote little about the book jackets. He nonetheless revisited the form on numerous occasions, working for some of the most prominent publishers of his age, including Victor Gollancz, Francis Meynell and Leonard and Virginia Woolf at the Hogarth Press. In his unhappy final years after returning to the United States in 1940, Kauffer continued to use the book jacket as a medium for graphic and typographical experimentation, designing jackets for Random House, Alfred Knopf and Pantheon Press. Fig. 3. 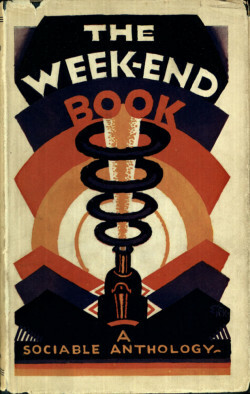 E. McKnight Kauffer, The Week-end Book (1924), book jacket, 19 x 12 cm. Published by Nonesuch Press, London. Victoria and Albert Museum, London. Museum No. NAL: 38041989073069. © Estate of Edward McKnight Kauffer. Its effects on the young Kauffer were transformative. A student at the Chicago Art Institute at the time,6 he was dismayed and yet drawn to the works on display: “I didn’t understand it,” he later recalled, “but I certainly couldn’t dismiss it.”7 His realization that “something was happening in the world of art which the majority of Americans were trying to deny” reinforced his growing disenchantment with the curriculum in Chicago and, more broadly, with an American provincialism he now sought to escape.8 Thanks to a benefactor who had taken an interest in his work—Professor Joseph McKnight, whose name Kauffer adopted in gratitude—the 23-year-old set sail for Europe later that year to study at the Academie Moderne in Paris. With America behind him, he now turned to the aesthetic innovations of the European avant-garde. Kauffer’s spell in Paris was short-lived owing to the outbreak of World War I, and in August 1914 he was forced to relocate to England. There he continued to paint and even exhibited with the London Group, a collective of British avant-garde artists that included the sculptor Jacob Epstein. At the same time Kauffer had also begun to work as a commercial artist, accepting commissions for poster designs that reflected these same influences. One of the earliest of these, Flight (Fig. 2), drew on the principles of English Vorticism. It caught the attention of the publisher of London’s Daily Herald newspaper, Francis Meynell, who was impressed by its quiet grandeur and geometric formalization. Meynell purchased the image for a 1919 poster for the paper and the two men struck up what became a life-long friendship.9 Four years later, when Meynell founded the Nonesuch Press, he commissioned Kauffer to produce some of the press’s finest book illustrations. For the cover of the first edition of The Week-end Book in 1924, Kauffer employed simple geometric elements and contrasting color blocks to create the illusion of perspective, depth and the explosive power of a locomotive (Fig. 3) The jacket’s focal point—the small outline of a train—occupies only the central lower third of the cover, leaving the remainder of the composition to function as a study in the interaction of color and form. From left to right: Fig. 4. E. McKnight Kauffer, The Unholy Three (1929), book jacket, 18 x 11 cm. Published by Victor Gollancz, London. Victoria and Albert Museum, London. Archives of Art and Design: AAD/1995/8/05/567. Fig. 5. E. McKnight Kauffer, Anybody’s Pearls (1930), book jacket, 18 x 12 cm. Published by Crime Club Inc. Victoria and Albert Museum, London. Archives of Art and Design: AAD/1995/8/09/140. Fig. 6. 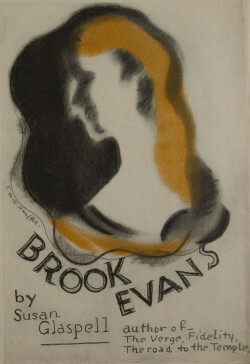 E. McKnight Kauffer, Departure (1928), book jacket, 21 x 13 cm. Published by Victor Gollancz, London. Victoria and Albert Museum, London. Archives of Art and Design: AAD/1995/8/05/559. All images © Estate of Edward McKnight Kauffer. Fig. 7. E. McKnight Kauffer, Brook Evans (1928), book jacket, 22 x 13 cm. Published by Victor Gollancz, London. Victoria and Albert Museum, London. Archives of Art and Design: AAD/1995/8/05/568. © Estate of Edward McKnight Kauffer. Kauffer extended this geometric approach in his prolific, if brief, partnership with the publisher Victor Gollancz. Between 1928 and 1929, Kauffer produced 18 book jackets for a range of detective stories and popular-fiction titles published by the firm. Often he accommodated his client’s preference for typographic covers and disdain for ornamentation and what Gollancz termed “picture jackets.” In spite of these constraints, Kauffer produced a series of striking designs that adopted an economical approach to form and frequently displayed an intellectual engagement with contemporary art movements. Despite these successes, Kauffer’s involvement with Gollancz ended barely a year later in 1929. Hodges remarks that “Victor always disliked spending large sums on jackets, and after a while probably balked at having to pay an artist’s fee and high production costs.”12 Gollancz preferred the purely typographic approach of Stanley Morison, whose bright yellow covers and atypical combination of fonts became closely associated with the firm. Fig. 8. 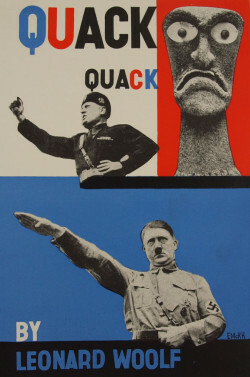 E. McKnight Kauffer, Quack Quack (1928), book jacket, 23 x 15 cm. Published by Victor Gollancz, London. Victoria and Albert Museum, London. Archives of Art and Design: AAD/1979/10/15-1979. © Estate of Edward McKnight Kauffer. One of the most remarkable of these was Kauffer’s 1936 cover for Leonard Woolf’s Quack Quack! (1936), a series of state-of-the-nation essays “on the growing irrationality of [the] times.”20 In Kauffer’s simple montage (Fig. 8), newspaper clippings of Hitler and Mussolini are enlivened by the primary colors of the background. The scheme is echoed by the typography, creating a chromatic harmony of word and image. Fig. 9. 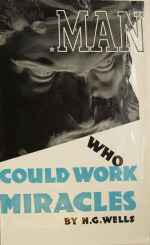 E. McKnight Kauffer, Man who could work miracles (1936), book jacket, 25 x 14 cm. Published by Cresset Press, London. Victoria and Albert Museum, London. Archives of Art and Design: AAD 10/15-1979. © Estate of Edward McKnight Kauffer. Kauffer continued to explore photography in his jacket designs for Dennis Cohen’s Cresset press. His treatment for H.G. 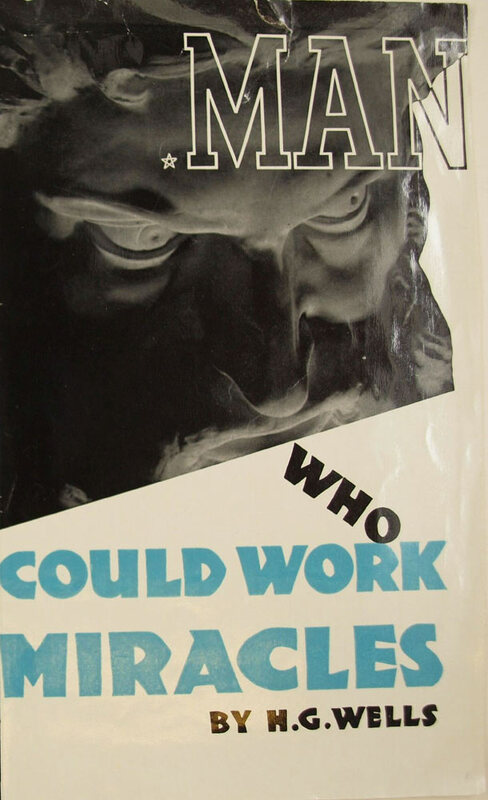 Wells’s Man Who Could Work Miracles (1936)—a striking composition painfully let down by its disjointed typography—presents a vivid and dramatic close-up of Michelangelo’s Moses in a clever allusion to, rather than a literal illustration of, the book’s content (Fig. 9). With Britain at war and commissions difficult to come by, Kauffer and his future wife, Marion Dorn, were forced to rethink their situation as American expatriates in England. In July 1940 they left for the United States.21 The homecoming was not a happy one. Homesick for England and struggling to find poster commissions in the American advertising world, Kauffer turned once again to book jackets. In February 1941 he wrote to his friend Jack Beddington: “Bread and butter at times has been obtained by my doing book jackets principally for Donald Klopfer [of Random House] and Knopf.”22 While his letter suggests a preference for more involved—and perhaps better paid—commercial work, Kauffer nevertheless produced some of his most memorable book jackets during this time. 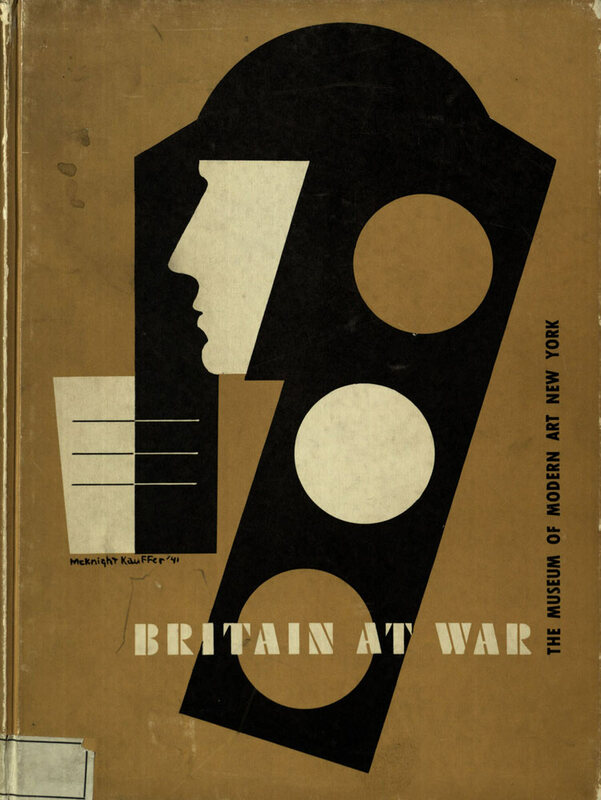 The cover design for the 1941 Museum of Modern Art exhibition “Britain at War” (Fig. 10) shows Kauffer returning to the simplified geometric stylization and economic use of color that had characterized much of his early work for Meynell and Gollancz. The resolute profile of a helmeted soldier is paired with circular and rectilinear elements that suggest industry, solidity and resilience in the face of adversity. Although the central image dominates the composition, Kauffer’s use of stenciled typography reinforces the military-industrial theme and balances the otherwise unanchored composition. Fig. 10. E. McKnight Kauffer, Britain at War (1941), book cover, 26 x 19 cm. Published by Museum of Modern Art, NY. Victoria and Albert Museum, London. Museum No. NAL 693133. © Estate of Edward McKnight Kauffer. Typography, long his weakness as a designer, became an increasingly dominant feature of Kauffer’s book designs of the late 1940s and early 1950s. This new emphasis on letterform cannot be dissociated from the publication of Jan Tschichold’s Typographische Gestaltung in 1935, which Kauffer, given the breadth of his reading, must have known. Covers such as Exile (1949), Winds (1949) and Aldous Huxley’s Point Counter Point (1951) show Kauffer exploiting the compositional possibilities of typography and the power of letterforms to give nuance to words. 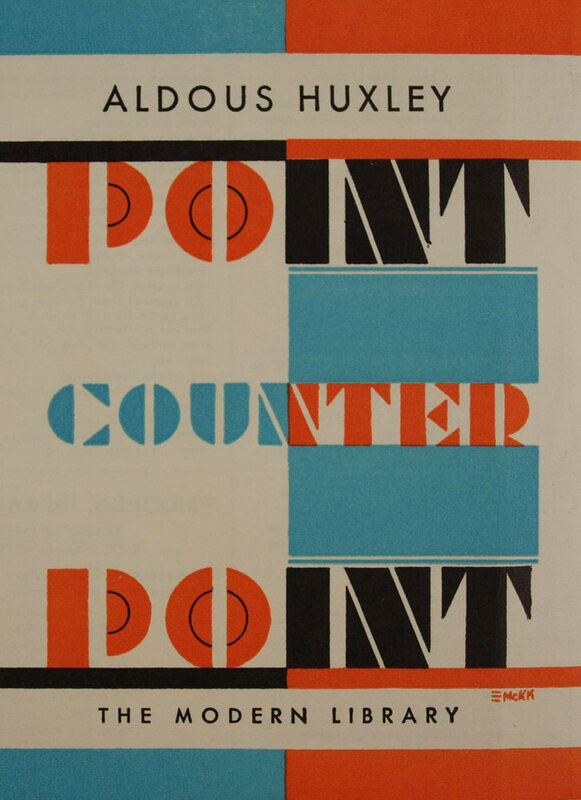 In Point Counter Point (Fig. 11) the use of a stenciled typeface, a gridded structure and contrasting color blocks create the sense of symmetry and contrast implicit in the book’s title. 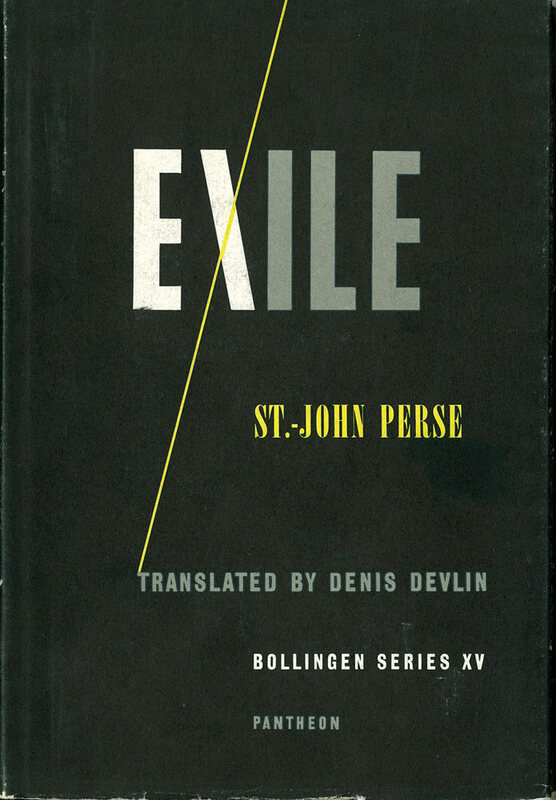 The typographic harmony of Exile (Fig. 12) is destabilized by the wayward solitary stroke of the letter X, which seems to stray from its typeset position, veering off the top of the jacket toward its own desolation. Fig. 11. E. McKnight Kauffer, Point Counter Point (1951), book jacket, 21 x 14 cm. Published by Modern Library, NY. Victoria and Albert Museum, London. Archives of Art and Design: AAD 10/15-1979. © Estate of Edward McKnight Kauffer. The extent to which this disillusion fed into Kauffer’s late work is impossible to determine. What emerges from surveying the 30-year arc of his book jacket designs is a persistent thread of innovation and experimentation, a restless search for new methods of expression that has inspired not only his contemporaries but subsequent generations of graphic artists and designers. 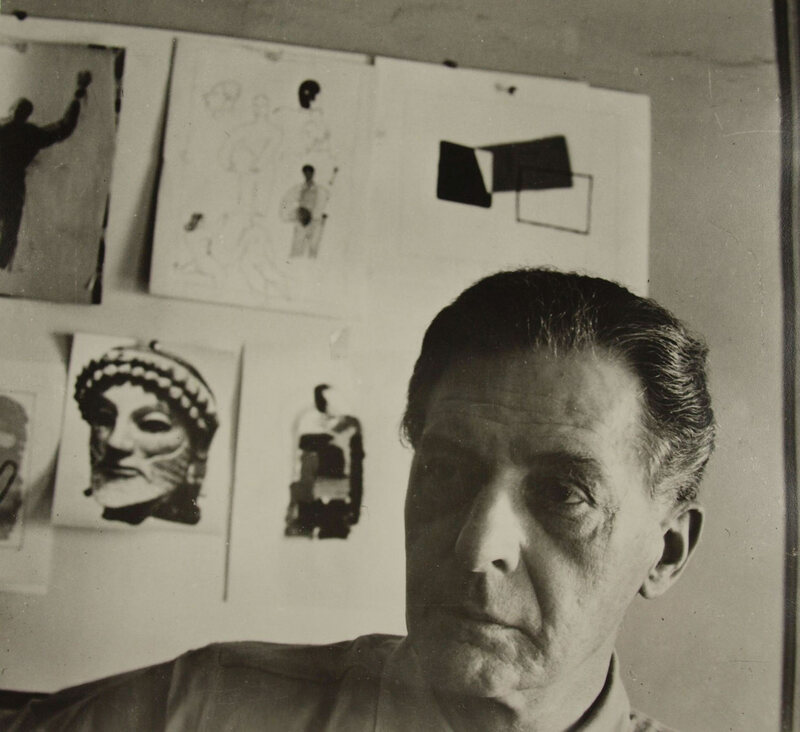 Alvin Lustig (1915–1955), whose jackets for James Laughlin’s New Directions Books also set new standards in 20th-century design, embraced photomontage much as Kauffer had in his work for the Hogarth Press. 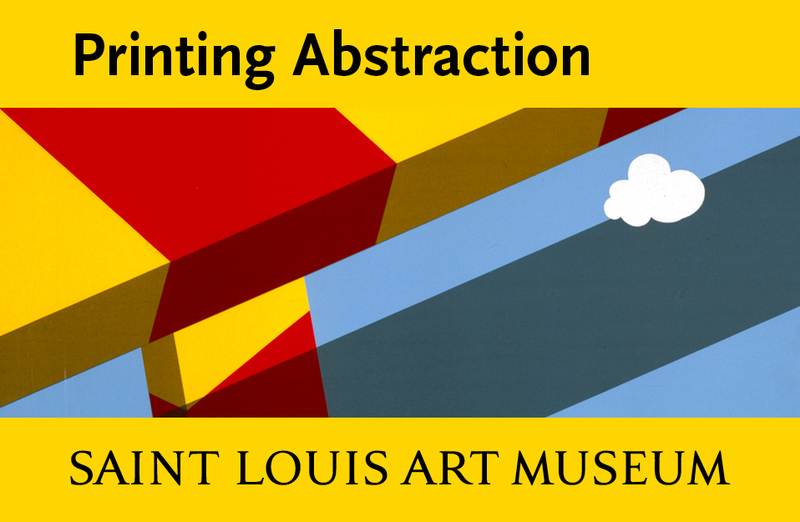 Lustig’s later fixation on letterform as a dominant compositional element also mirrored Kauffer’s late period. Paul Rand (1914–1996) first came across Kauffer’s work at the New York Public Library and consistently cited Kauffer as one of his design influences.26 In a 1987 interview with Heller, Rand says: “Many people were doing modern stuff in England. But Kauffer was doing the best stuff. There wasn’t anybody anywhere near him except for [A.M] Cassandre.” Rand’s Thoughts on Design (1947), which featured an introduction by Kauffer, betrays an intellectual debt to his hero. 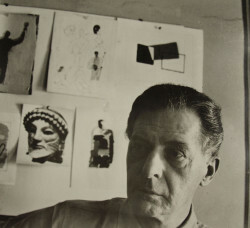 It may have been toward designers such as Kauffer, Lustig and Rand that Clement Greenberg levelled the thrust of his famous 1939 essay, “Avant-Garde and Kitsch,” in which he inveighed against the tendency of commercial art to appropriate the “discoveries, acquisitions and perfected self-consciousness” of the avant-garde.27 Kauffer’s efforts at repackaging avant-garde aesthetics for a mass audience, however, was not the work of a mindless mimic. His inventions stemmed not just from his early ambitions as a painter but also from his intellectual engagement with the language of modernism and its application to commerce. Roberta Cremoncini has written: “It was undoubtedly this skill for borrowing the best elements of contemporary avant-garde aesthetics and making them entirely his own that brought him success in his lifetime and to which his enduring appeal is owed.”28 In the course of the 20th century, book jackets, once unremarked bits of printed ephemera, became objects of meaning and delight as well as subjects of critical and aesthetic analysis. Kauffer was as responsible for this transformation as anyone. Fig. 12. E. McKnight Kauffer, Exile and other poems (1949), book jacket, 24 x 17 cm. 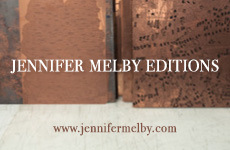 Published by Pantheon Books, NY. Brasch Collection, Special Collections, University of Otago, Dunedin, NZ. The University of Otago. © Estate of Edward McKnight Kauffer.